As a former Diaspora Jew who visited Israel occasionally, I always knew when to keep quiet. I did not live here. I did not have skin in the game, and I surely did not believe that I had a right to tell Israelis what they should or should not do. Since making aliyah, I see that there are many American Diaspora Jews who believe that they have right to set the agenda for our culture and government without having any of the responsibilities of citizenship. 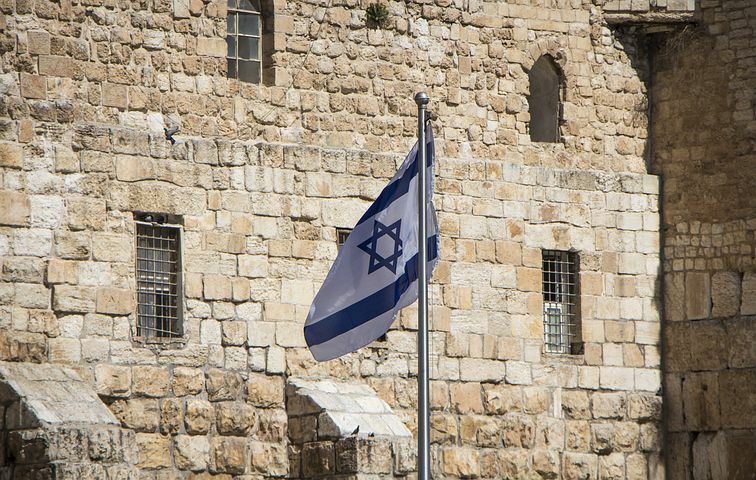 The decision of the Jewish Federation of North America (JFNA) to hold their General Assembly in Tel Aviv this year was greeted with pleasure in some circles and skepticism in others. Their tag line “We Need To Talk” became a source of concern among many of us. This phrase is often used when couples are breaking up or when a parent is provided a teaching opportunity because a child has misbehaved. In this case, the analogy seems to be, at least at the top of the leadership of the JFNA, one of a grown-up speaking to an errant teenager, an analogy used by one of the organizers of the event. They are the grown-ups, we are the teenagers in the eyes of some American Jews. Our challenges were referred to as “adolescent challenges” by the same speaker. Let me be clear: Treating Israelis as if we are bad children who need American Jewry to keep us in line is insulting. "Fourth, there should be an honest conversation about legislation and policy-making by the Knesset and the Government of Israel that affects world Jewry. Yes, Israel is a sovereign nation whose legislature and executive represent and act on behalf of its citizens. But Israel is also the self-proclaimed nation-state of all Jews, half of whom live outside of Israel. This makes Israel exceptional, and that exceptionality must also be reflected in the process of designing laws and policies on matters that affect all Jews." It is hubris to believe that non-citizens of a nation should have any say in legislation. There is a mechanism for Diaspora Jews to have a say: aliyah. Come home and help strengthen our nation. Vote, have a say in trying to change what you think is wrong. We are a sovereign nation with a culture and challenges that are not easily understandable to those who do not live here. I have learned this through experience. It has only been four years since I made aliyah. Like many olim, I asked hundreds of questions, listened carefully, and appreciated the willingness of veteran olim and Israeli born acquaintances to explain and guide. It is important, however, that we remain patient with Diaspora Jews and that we avoid assumptions. Recently, I spent time with two women from Massachusetts (one is an old friend) who were here on a Hadassah Hospital mission. Both have spent time here, but not in many years. We had a lovely dinner and they asked me many questions. One had lived here in the late 1970s and early 1980s.They were inquisitive in a way that was familiar to me. That was me before I made aliyah. I had assumed that they might have views that were influenced by the anti-Israel movement that is flourishing on the left in America.I was wrong.They are Zionists who wanted clarification on some issues. They listened, I listened, and they both thanked me for being so open to their questions. This is a marked difference from the Colonialist viewpoint of many in leadership in Jewish organizations in the Diaspora. They seem to not want to listen, but to dictate, forgetting that sovereignty in our indigenous Homeland is not just a two thousand year-old dream, but a requirement for us to survive and thrive. Yes, they are Jews and this is the Homeland for all Jews. But when you dictate that we should enact laws or behave a certain way, you are not supporting us. You are undermining us. We who choose to live in our Homeland want the best for our brothers and sisters in the Diaspora. We fear for the loss of Torah-centered Judaism, lost to assimilation, intermarriage and apathy. We fear for Diaspora Jews due to the increase in Jew hatred from the far reaches of both political sides. We fear that the lessons of the past have been forgotten. But we do not try to take these fears as the right to tell you how to live your lives as citizens of your own country. You want to have a say and build a stronger Israel? Then listen to us. Listen to our challenges with an open mind. Listen to those who live in Judea and Samaria and stop dismissing them as “right wing settlers”. Ask us questions and believe us when we say that we want peace, but that we no longer want to attend funerals of those who were murdered by those with whom you want us to make peace. Do that for us and then tell me that you have the right to dictate policy or culture to us. When the Diaspora believes that it has the right to tell us what they think we should do and not assume any of the responsibilities, then they are just plain wrong. We would love it if you would come home to our indigenous Homeland, but if you choose to remain in the Diaspora, show respect for those of us who live and breathe this miracle of a nation every single second of our lives. Is there an obligation for every Jew to visit Israel at least once? See answers from Orthodox, Conservative and Reform rabbis here.